Dr. Roberta Troy, a Tuskegee University faculty member, has been appointed interim provost and vice president for academic affairs. She succeeds Dr. Tejinder Sara, who served as provost since July 2017 and recently returned to retirement. Troy was scheduled to retire at the end of the summer semester, but delayed her retirement to accept the temporary appointment. The school anticipates beginning a national search to fill the provost vacancy in September, with the successful candidate beginning in the early spring 2019. Troy, a two-time Tuskegee graduate, will serve as the university’s chief academic officer and represent the university when the president is unavailable. The provost oversees all academic colleges and schools, graduate studies, research, libraries, distance education, institutional effectiveness, the Registrar’s Office, and the National Center for Bioethics in Healthcare and Research. She reports to the president, serves as a member of the President’s Cabinet, and leads the Council of Deans. A faculty member since 1999, Troy is the founding director of the Tuskegee University Health Disparities Institute for Research and Education. She has served previously as Tuskegee’s interim provost and vice president for academic affairs, as well as assistant provost for undergraduate studies, and chair of the Faculty Senate. Troy earned bachelor’s and master’s degrees in biology from Tuskegee in 1977 and 1980, respectively. She completed a doctorate degree in biochemistry and molecular biology at the University of Florida, where she was a McKnight Pre-doctoral Fellow. She received additional training at the Cleveland Clinic Foundation, where she was a postdoctoral fellow in molecular virology. Prior to her appointment to the Tuskegee faculty, Troy was an associate professor of biology at Lincoln University. For almost 20 years, her research focus has been on examining the chemo-preventive and chemotherapeutic effects of natural products on breast and cervical cancer in African-American women. 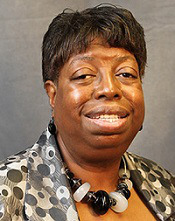 In addition to her administrative role leading Tuskegee’s Department of Biology, Troy was involved heavily in the university’s recent 10-year reaffirmation of accreditation by its regional accreditor, the Southern Association of Colleges and Schools Commission on Colleges. In addition to serving as a member of the university’s Reaffirmation Leadership Team, Troy continues to serve as director and one of the chief architects of the university’s Quality Enhancement Plan (QEP).